By C Victoria • On March 17, 2015 May 25, 2016 • In Business	Business New Clothing, Software, Zappos Comments Off on Can New Clothing Returns Software Make Your Store Just Like Zappos? We take a look at newer clothing returns software to see if it can really make your returns policy as simple and straightforward as Zappos. All ecommerce store operators want to experience the same kind of explosive growth and massive success as household names like Zappos do. Seemingly overnight, this store came into existence promising the best brands of shoes at unbeatable prices, with no-hassle free shipping and one of the best return policies in the business: no-questions-asked returns with free return shipping and no restocking fees. Can your store integrate a clothing returns policy that offers just as much as Zappos does without bending to the cost of returns and making them unfeasible for your bottom line? That’s the quick question at hand, and we will answer how you can streamline customer service – but you will likely require some help from integrated clothing return software along the way. Here is the why and how. 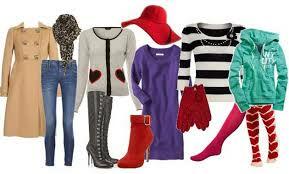 Clothing is one of the most commonly returned items by online shoppers. Key reasons that shoppers make returns is: clothing does not fit; clothing arrived damaged; shopper does not like the way the clothing looked; wrong item was shipped; customer ordered several sizes to find the right one. The Zappos return policy assures shoppers that these issues will never be an issue. As you can imagine, it instills consumer confidence, which equates to more conversions and sales. You’d think, gee whiz, how can Zappos afford to offer such lucrative returns? The truth is that they can’t. These returns make them more money. Numerous studies have been conducted regarding the matter. One study followed two large online stores over 49 months and millions of dollars in sales. The study found that when stores offered free return shipping and a return policy similar to Zappos that sales increased by as much as 357% per customer over just two years, telling of how returns make you money. The goal of Zappos’ returns policy is to improve customer confidence and thereby increase consumer spending, and it really works. A UPS study found that 81% of people are loyalists to the online stores that make returns simple and free. And 80% will be more likely to even do business with such companies in the first place. A related poll found that over 60% of people read the returns policy first, and that 92% are more likely to do business with a company in the future that makes returns hassle-free. So how can you offer returns like Zappos does? Well you’ll need the right software to get started. We took a look around online, and there is a company that is making such software with simple month-to-month billing. TrueShip’s ReadyReturns clothing returns software is tailored for ecommerce retailers and starts at about $30 per month with no contracts. It basically plugs into your site quickly and lets customers make their own returns, tracking everything and generating shipping labels from your linked shipper accounts. With solutions such as this now available, there’s nothing holding back your online store from enjoying the same success as Zappos.